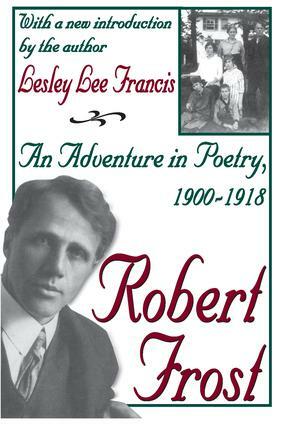 In this volume, Lesley Lee Francis, granddaughter of Robert Frost, brings to life the Frost family's idyllic early years. Through their own words, we enter the daily lives of Robert, known as RF to his family and friends, his wife, Elinor, and their four children, Lesley, Carol, Irma, and Marjorie. The result is a meticulously researched and beautifully written evocation of a fleeting chapter in the life of a literary family.Taught at home by their father and mother, the Frost children received a remarkable education. Reared on poetry, nurtured on the world of the imagination, and instructed in the art of direct observation, the children produced an exceptional body of writing and artwork in the years between 1905 and 1915. Drawing upon previously unexamined journals, notebooks, letters, and the little magazine entitled The Bouquet produced by the Frost children and their friends, Francis shows how the genius of Frost was enriched by his interactions with his children. Francis depicts her grandfather as a generous, devoted, and playful man with a striking ability to communicate with his children and grandchildren. She traces the family's adventures from their farm years in New Hampshire through their nearly three years in England. This enchanting evocation of the Frost family's life together makes more poignant the unforeseen personal tragedies that would befall its members in later years.